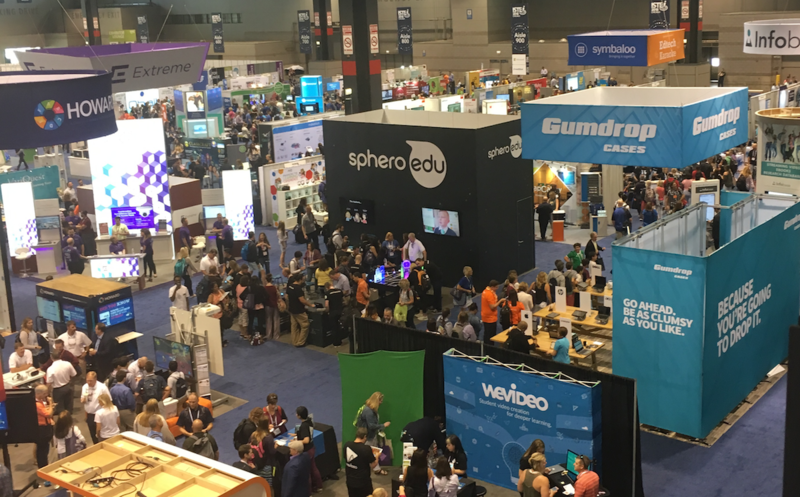 Why the ISTE Conference Still Matters | Clarity Innovations, Inc.
Late last month, five members of the Clarity Innovations' team attended the ISTE conference in Chicago. This included President and CEO Thor Prichard, Client Lead Laura Davis, Content Developer Stefanie Hausman, Finance Director John Marini, and myself. Although I've been to the ISTE conference (and its previous incarnation, NECC) nearly two-dozen times since the mid-90s, I keep coming back year after year because I still find value in it. Part of that value is, of course, to be found in re-connecting with old friends (as well as making new ones) and in seeing how the work we do finds its way into the hands of educators. One doesn't have too look (or search) hard to find all kinds of assessments, re-caps, and awards based on the conference but, for me, most of those articles are the noise, not the signal. That signal, so to speak, is that the ISTE conference really matters. It matters because there is really nothing else like it in K-12 education-technology. And if you really want to understand the impact and potential (and perils) of education-technology in the U.S. then the ISTE conference is certainly the place to be. There are lots of other events that are more like trade shows, or are open to a larger (public) audience of students and parents, or even ones that are intended to be for vendor-insiders, but there really isn't any place were you can get just about all of those options in a single location. For us, we love to present at ISTE - either on our own or in collaboration with partners - as a way to vet much of the work we do. This year, we co-presented with a client of ours, Green Bronx Machine, on bringing gardening to the classroom. As with any other organization, we also meet with lots and lots of current and prospective clients. And, happily for us, we're already seeing some of those meetings turn into contracts and projects for our team. Last, but certainly not least, is sussing out the latest trends that have come from other markets and are finally trickling down into K-12. And, there were no surprises there: plenty of STEM, computational thinking, and SEL (social and emotional learning) along with some slightly more provocative content around artificial intelliegence and machine learning. Looking ahead, I'm sure we'll have Clarity folks in Philly next year at ISTE 2019, and I'm sure there will be many an article posted next July about its lack of relevance. But for us (and, I think, many of our colleagues), its still a great way to spend four days in June.